The 2016 Mercedes-Benz Sprinter is the solution to all of your personal and business needs! 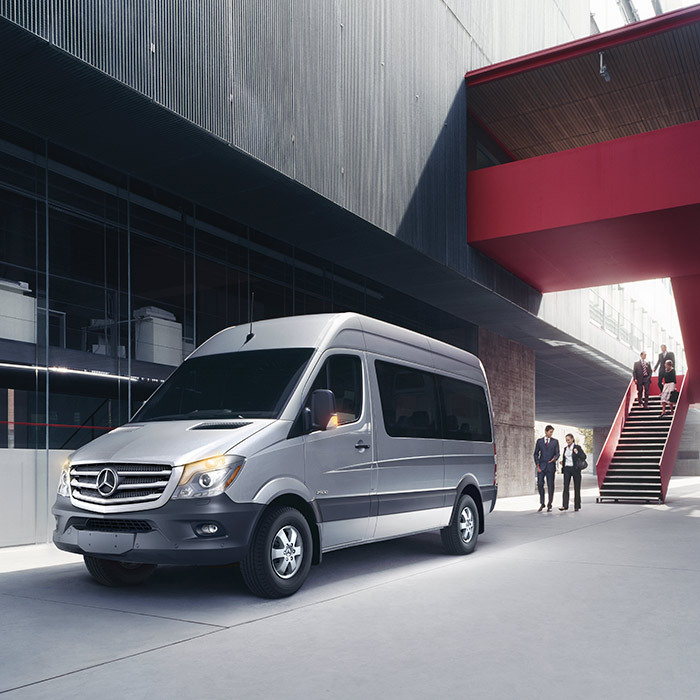 This new Mercedes-Benz commercial van is built to make the most of your space and time on the road. In contrast to its competitors, this vehicle offers both more room and capability as a result—two characteristics are essential for success. So what are you waiting for? If you want to advance your work to the next level, this is the mode of transportation for you! There are four main Sprinter models available, including the Sprinter Worker, the Sprinter Cargo Van, the Sprinter Crew Van, and the Sprinter Passenger Van, and you can now see them on our lots at Mercedes-Benz of Union! We welcome drivers from Staten Island, Westfield, Plainfield, and surrounding areas to visit our Mercedes-Benz dealership in Union, New Jersey, today to put this great new commercial van to the test! Drivers who spend many hours on the move are naturally inclined to choose a mode of transportation that gives them the most comfort and convenience—and that’s why so many drivers choose the 2016 Mercedes-Benz Sprinter! This van is designed to utilize space effectively so that you have the versatility to match your work. 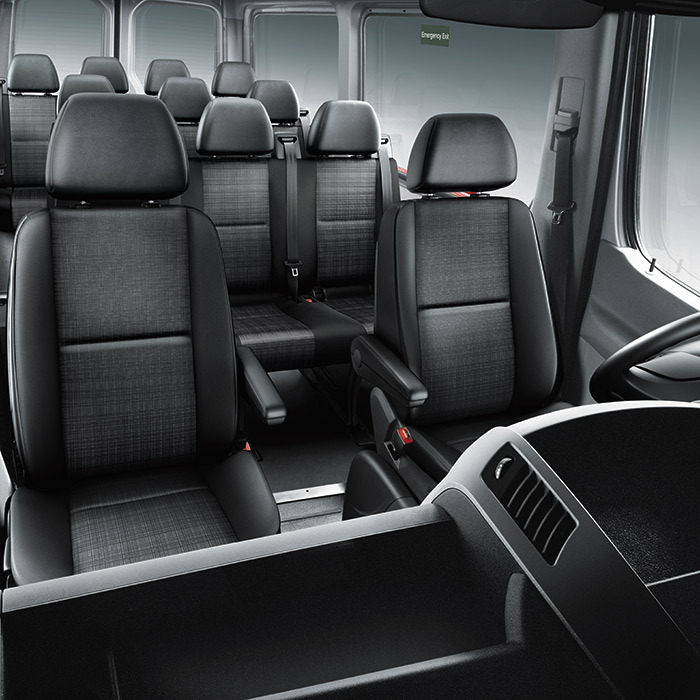 Depending on the trim level, you will be able to seat anywhere from two to twelve individuals. Select models like the 2016 Sprinter Cargo Van 2500 are exceptionally spacious, with up to 319.1 cubic feet of room. You can transform this space with the MasterUpfitter** that will make it easier for you to load your cargo in the way that you want it! Drivers and passengers will also appreciate the layout of the front cabin that includes ample of dashboard storage and strategically positioned controls and electronics. The Ford Transit and RAM ProMaster City can hardly compete with these outstanding figures! The reason so many people turn to the 2016 Mercedes-Benz Sprinter is primarily because of its integration with advanced engineering. 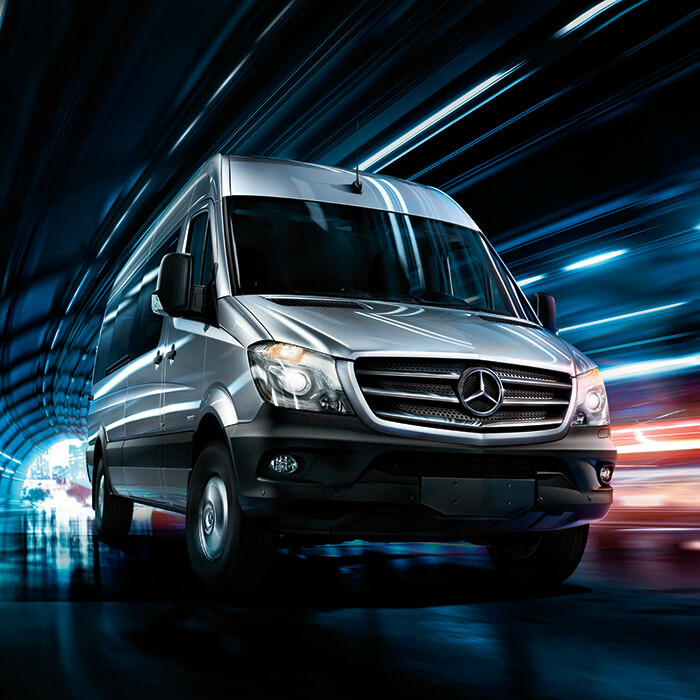 Powered by an innovative 4-Cylinder BlueTEC® Turbocharged Diesel Engine, your Sprinter will reach a peak of 265 lb.-ft. of torque at just 1,400 rotations per minute and will give you the strength necessary to tow an impressive maximum of 5,000 pounds! 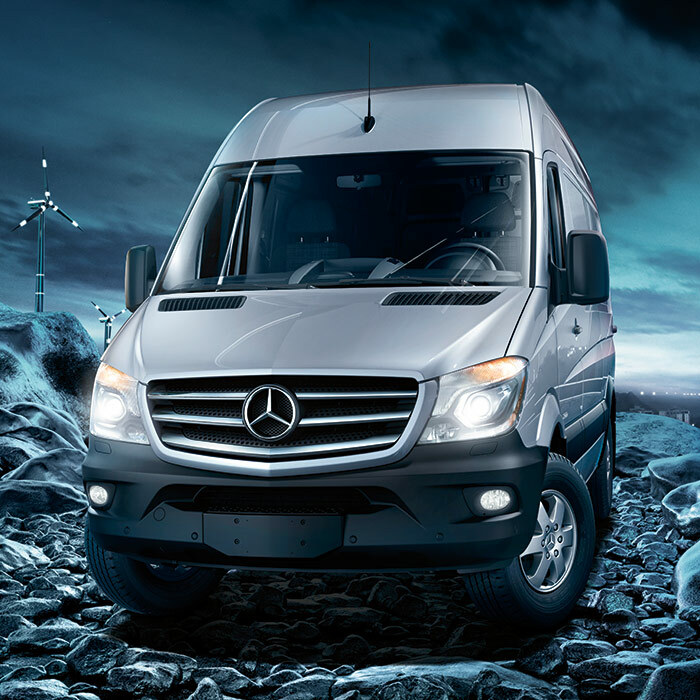 Even the standard Sprinter Cargo Van 2500 achieves a max payload of 3,512 pounds, a figure unmatched by its rivals. Working in conjunction with the suite of safety features offered, this commercial van will also make sure that you not only get your work done well but safely as well. The Load-Adaptive Electronic Stability Program®*** is one such notable addition. Standard on all Sprinter models, this feature will monitor the behavior of your vehicle, and will automatically adjust braking if it detects wheelspin, understeer, or oversteer. Working in combination with Crosswind Assist,**** a favorite feature highlighted in the 2016 Mercedes-Benz Sprinter Expert Review on Kelley Blue Book, your Sprinter will help you maintain greater control and give you more confidence wherever you go. At Mercedes-Benz of Union, we take pride in assisting our customers with their automotive needs! When you visit our Mercedes-Benz dealership in Union, New Jersey, you will not only have access to an excellent lineup of 2016 Sprinter models but will also have the chance to work with our team of experienced experts. We work hard to provide our friends and neighbors from Staten Island, Westfield, Plainfield, and surrounding areas unrivaled service, so don’t wait and visit us today to partake in this fantastic automotive experience yourself! Have a question for us? Please call us at (888) 346-7157 or reach us online by filling out a contact form, and we will be happy to point you in the right direction. With our help, you can get your business moving in no time! *Images used on this page may reflect 2013-2016 Mercedes-Benz Sprinter Van Models.